As many of you are aware, the Food and Drug Administration (FDA) has removed ephedra-containing supplements from the shelves. This means that diet pills and body-building products that contain ephedra (ma huang) and similar "stimulant" supplements will no longer be available. As a holistic veterinarian, I understand that some natural products can be dangerous if not used correctly. Many people equate "natural" with "safe," but this is not always true. In my practice, while I prefer natural products when possible for treatment, occasionally a "drug" might work better and more safely than a natural supplement (I find this to be the case with some deworming products, for example.) So when I heard of the FDA announcement, I had mixed reactions. Inititally, I thought the move was a good one. Ma huang is a Chinese herb with thousands of years of use. In traditional Chinese medicine (TCM), ma huang is a popular treatment for respiratory problems, especially asthma. Using it for weight loss is a misuse, as there is no indication in TCM for the herb to be used to control weight. Second, there are more than 100 deaths and a number of reported and unreported cases of people exhibiting side effects (increased heart rate, palpitations, jitteriness, etc.) when using the herb. As far as potentially dangerous supplements, you'd have to place ephedra supplements in this category. My second reaction was the opposite of my first, however. 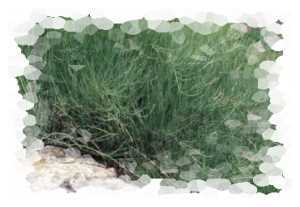 While it is true that ephedra can be dangerous when used incorrectly, it is a helpful supplement when used under doctor's supervision for respiratory problems. Keep in mind that while there have been more than 100 reported deaths attributed to ephedra supplements, there are thousands of deaths and side effects attributed to prescription drugs (especially non-steroidal anti-inflammatory drugs) each year and, of course, these very potent medicines (some available without a prescription) are still legal. It's hard to know what to make of all of this. I guess for me, the take-home message is this: Supplements that contain potent ingredients such as ephedra should either be available by prescription only or at least have clear warning labels on the products and require identification for purchase to prevent minors from having access to them. Dr. Shawn P. Messonnier, author of 8 Weeks to a Healthy Dog and The Natural Health Bible for Dogs & Cats is a veterinarian and pet care advocate. Write him at 2145 W. Park Blvd., Plano, TX 75075, or e-mail naturalvet@juno.com.